No Vin Diesel cameo, please! 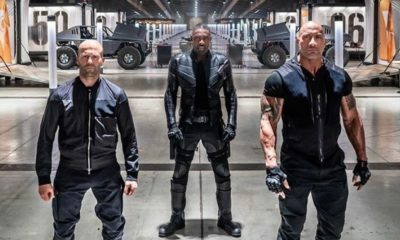 Hobbs and Shaw trailer has landed with two charismatic leading men, an equally appealing bad guy, lots of OTT action, incredible camaraderie,and a trunkful of humor. Life’s great! The first trailer for the first spin-off to come out of The Fast and the Furious franchise is here. Focusing on the two characters who stole the show from right under Vin Diesel’s nose, Fast and Furious Presents: Hobbs and Shaw is all set to be the most entertaining movie in the series. Trust me, this could even make Mr. Diesel a bit nervous. The trailer is a delight to watch as it’s not just about the action, but also about the entertaining camaraderie that’s on display. These guys absolutely deserved this spin-off adventure which will take their characters out of the boundaries set by the main saga. There is tons of humor and lots of banter between The Rock and Jason Statham, clearly inspired by some of the buddy cop movie genre. Admit it, the main storyline was always revolving around Vin Diesel and the recurring “family” theme, which was actually getting a bit too much to digest. It’d have been a shame and a loss to confine Luke Hobbs and Deckard Shaw to the supporting character roles as Dom kept going on and on with his monologues in the signature mumble-growl. Joining the action is Idris Elba in what looks poised to be the most formidable bad guy the franchise has ever had since Statham’s Deckard Shaw from Furious 7. He plays Brixton, a rogue MI6 black ops operative, much like Deckard Shaw. This one happens to be more ruthless though. Since he is going against two badass good guys, the writers have leveled the playing field by turning Brixton into a Captain America-Wolverine-T800 crossbreed. Thanks to the cybernetically enhanced super-soldier status that Brixton holds, the bad guy is bulletproof and super-strong. We do see him whooping The Rock’s rear-end along with that of Statham’s. The action teased in the trailer makes us wonder whether Fast and Furious actually needs to go to space to be more bonkers. You’ve got drifting huge armored trucks, corkscrew-jumping buggies, Hobbs diving from the top of a skyscraper without a cable or chute to catch the baddies, and even the under-semi driving sequence (with a McLaren 720S) paying homage to the original scene from the first flick in the juggernaut franchise. Vehicular warfare lovers will totally dig Hobbs and Shaw with the scale of destruction being unleashed with everything that has got an engine in it. Cars, buggies, bikes, trucks, and helicopters join the party as punches are thrown, bullets and rockets are fired and things on screen explode spectacularly. This is a Fast and Furious movie after all. 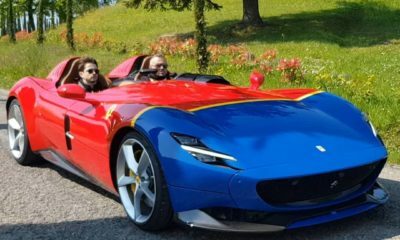 Essentially, this is a superhero movie, though in the garb of an action thriller with spies, fast cars and lunatic action. Brixton is more or less a cyborg or a mutant and it’s not hard to see Luke Hobbs seeing himself as some kind of Luke Cage equivalent. The chap who directed Deadpool 2 – David Leitch – is at the helm of the circus and it comes as no surprise that some of the superhero movie aesthetics shine brightly in the Fast and Furious spin-off.